Omega Constellation presents a wide range of dynamic, contemporary style of watches engineered for maximum comfort and elegance through its exclusive collection for men and women. The standardized design elements are the predominant attributes that define the characteristics and heritage of the brand, the Constellation star at the 6 o’clock position every product along with the famous claws, are the prominent symbols used by the brand to mark its distinctive features and quality. Founded by Louis Brandt in 1848, it gained popularity as it befittingly established itself as the official watch for Britain’s Royal Flying Corps during the World War I. As it continues to draw inspiration from the iconic legacy, Omega Constellation has carved itself a niche in the market delivering a range of refined quality watches. 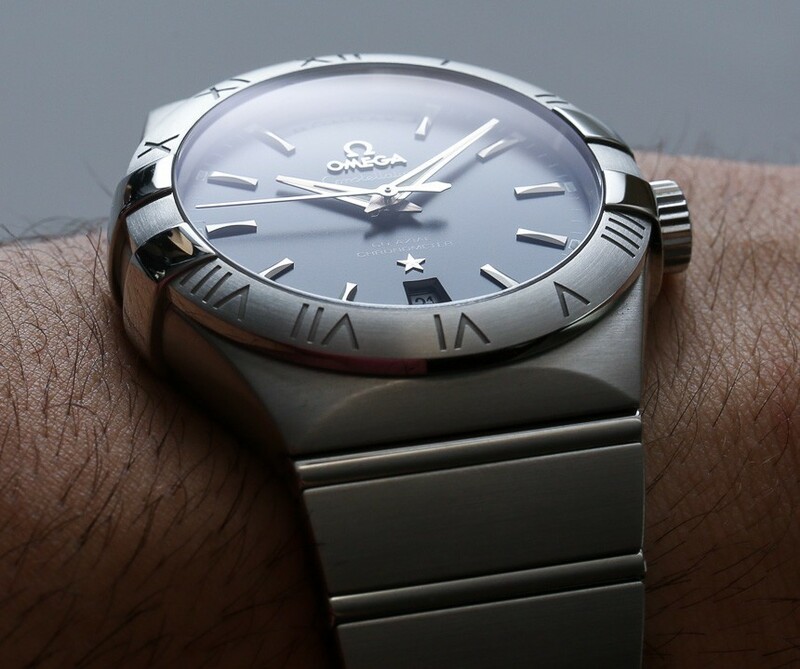 Omega Constellation provides an exclusive range of watches for men and women that aims to adhere to the contemporary and trends, attracting a variety of Constellation wearers. Equipped with Omega’s modernized and advanced technology, a wide variety of colors, materials and sizes, the collection is thoughtfully crafted to promote a classic look for its consumers. The captivating dial and the distinctive features along with thoughtfully designed intricacies effectively uplift brand name cater to the luxurious requirements and style. Designed and crafted with an extensive variety of case metals, movement configurations, dials and diamonds, the men’s collection is sized at 38mm and 35mm powered by the OMEGA Co-Axial caliber 8500/8501. The 12 o’clock position displays the day of the week and the 6 o’ clock position shows the window to display the date, equipped with the OMEGA Co-Axial caliber 8602/8612. The striking characteristics of the watch offer elegance and assert the high quality and exquisite features of Omega Constellation. The collection offers a wide variety of color, texture, pattern, material and sizes that meet the contemporary trends of the current generation. The strong visual identity appeals to the consumers who wish to have the perfect premium experience through the luxury edition of Omega constellation.